click here to view our exclusive range of office and personel leather folders. Multi use leather folders. Leather Folder of A 5. Made from premium Leathers. Available in diversified designs, these folders have multiple pockets and compartments for organized storage of documents and other papers. Further, we are also able to custom design these folders as per the requirement of clients. We can do embossing, printing as per as the artwork. 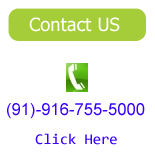 Call us or mail us at sales@LeatherFromIndia.com and our support staff will gladly help select your ideal leather folder. Business and executive leather folders with multiple slots. 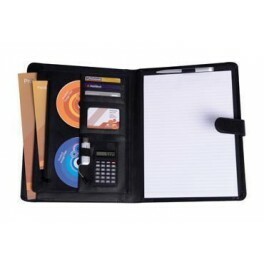 Ideal for office and executive office these folders are ideal for conference. 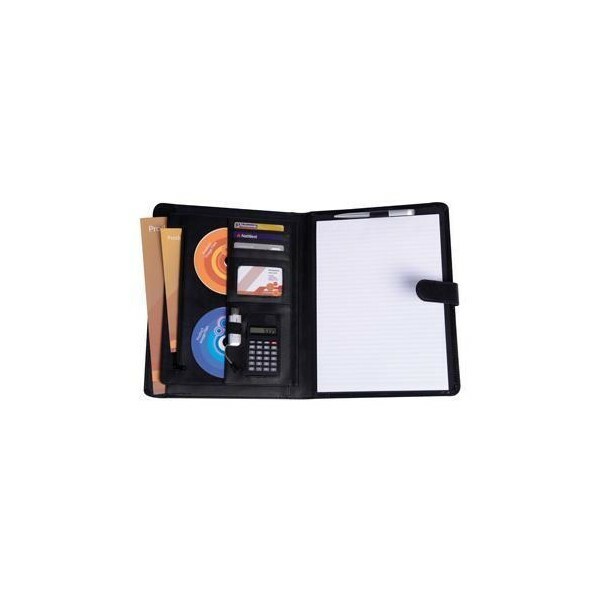 These conference leather folders come with standard specifications like holding different paper sizes including A-4, A-5 etc. Separate slots for pens, jotters, calculators and other executive requirements. These leather folders are fully customizable. You can personalize these leather folders with your company name or logo. If you are organizing or participating in some conference, these leather folders can become ideal business promotion gifts with personalized features for attendee’s. Made from the finest quality leather, these folders are the classiest business gift one could think of, and that too at a very nominal price. Our production facilities across the world ensure we produce the finest quality leather products at the lowest possible prices without compromising quality.